We think you are already skillful enough and ready for a new challenge! 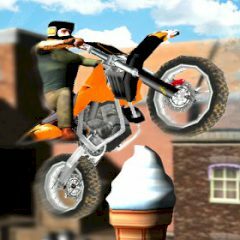 Ride your powerful bike along a lot of difficult tracks, perform breathtaking stunts and try not to crash. Try to drive as fast as possible but be careful.